The Hawks seized perlemoen worth more than R2.5 million when they bust the operation on a wine farm in Somerset West. Three men believed to be part of alleged illegal abalone operation appeared at the Somerset West Magistrate’s Court near Cape Town today. According to the Directorate for Priority Crime Investigation (Hawks), Shen Hongyu, 43, Tu Dugn, 27, and Ibrahem Alnaimat, 33, were arrested on Wednesday at a wine farm in Somerset West during an intelligence-driven operation. 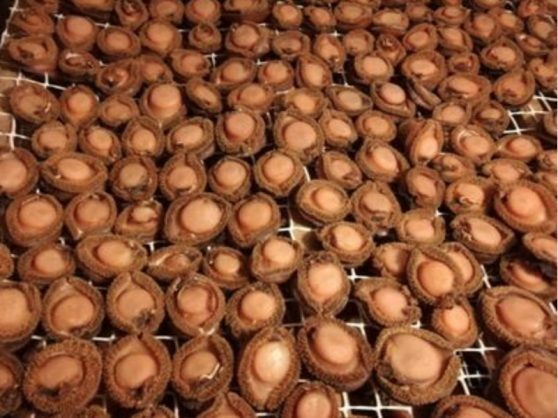 “The Hawks’ Serious Organised Crime Investigation and officials from the Department of Agriculture Fisheries and Forestry (Daff) conducted a joint search and seizure operation on an alleged illegal abalone laboratory,” said Hawks spokesperson Captain Philani Nkwalase in a statement. Alnaimat was released on R150 000 bail while Hongyu and Dugn were remanded. The case against the trio was postponed to August 17 pending further investigations.